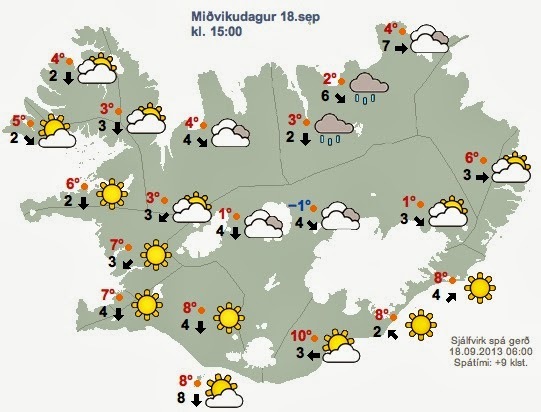 If you're visiting Iceland, you’re most likely going to do a 5-day or 7-day itinerary. Some people are lucky and have more time. But for the majority of people, this trip of a lifetime is going to be relatively short. And a week in Iceland is better than nothing, right? 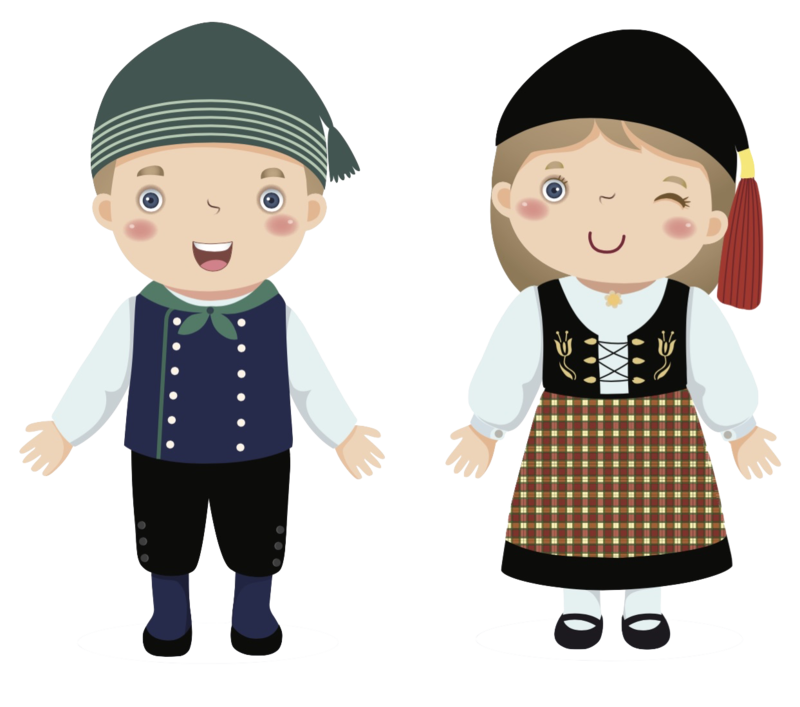 I really do recommend longer than seven days to really get to know the country, but if you’re pressed for time then it’s best to focus on driving around one region. 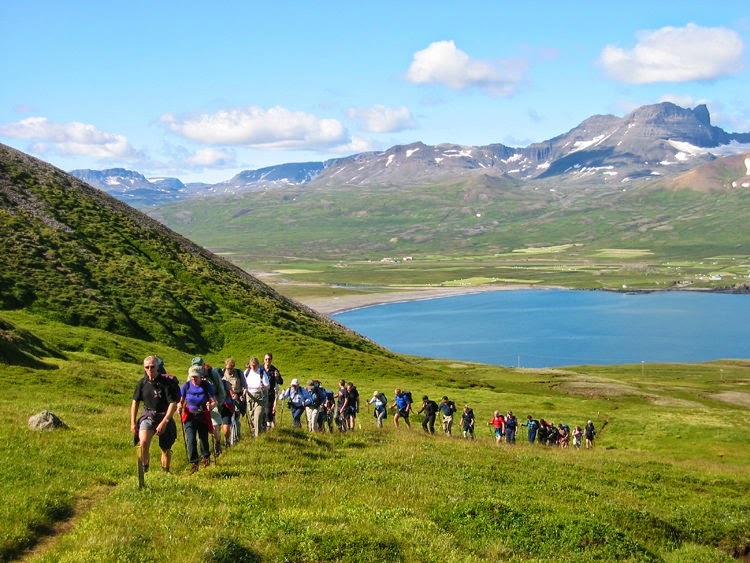 The following itinerary focuses on Iceland’s South Coast, which is where most visitors spend their time. The first part is a 5-day itinerary for just the outdoor pursuits of the South Coast. This is for those especially short on time. 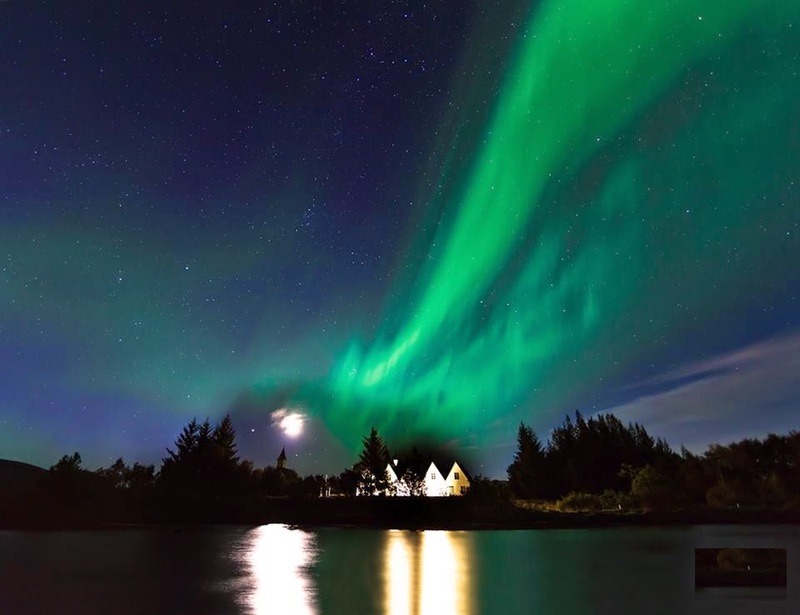 It leaves out the sights closest to Reykjavik, which I highly recommend adding. 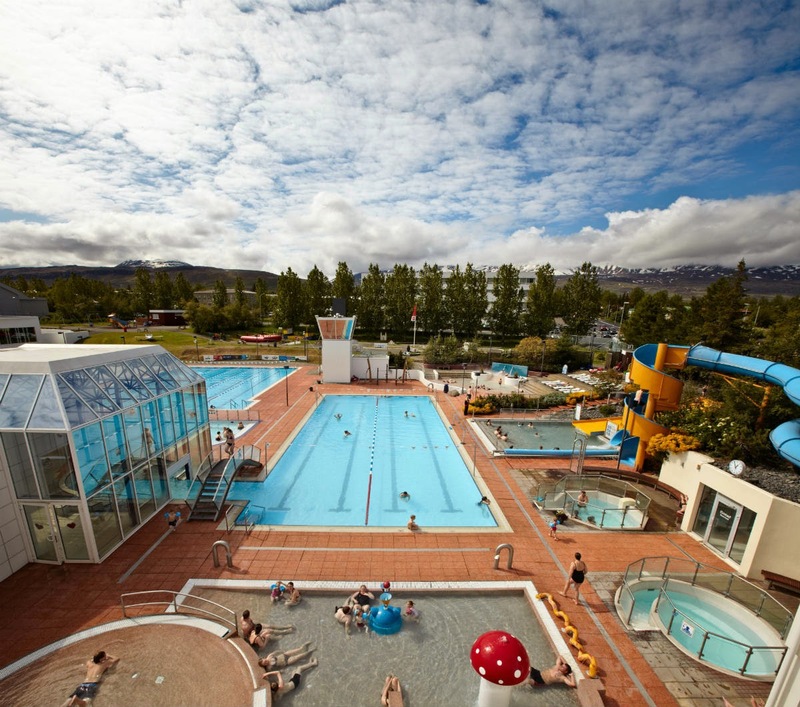 Including the additional two days will also allow you to explore Reykjavik and environs. 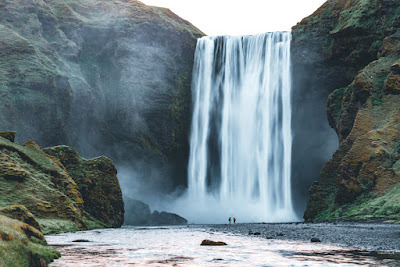 We start off our South Iceland itinerary with some of Iceland’s most breathtaking waterfalls and the haunting plane wreck site at Sólheimasandur beach. 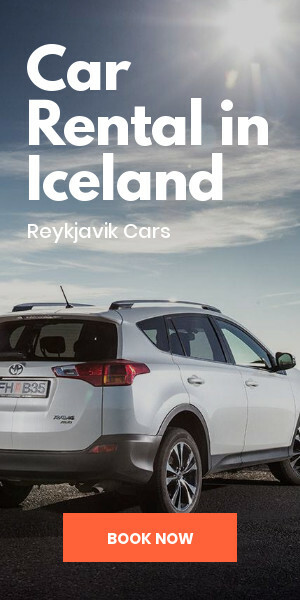 After leaving either Reykjavik itself or the Keflavik International Airport, head east along Iceland’s Ring Road (Route 1). It’s a nice 80-mile (128 km) drive that takes around 1 hour and 45 minutes to complete. Give yourself an extra 15-30 minutes in winter or with other less than ideal weather conditions. Turn left onto Thórsmörkvegur and follow it for a little bit until you reach the parking lot on your right. Seljalandsfoss will also be on your right. As you approach this waterfall, you’ll be hit by the sound of gushing water and the smell of damp grass. Be sure to bring a sturdy rain jacket and waterproof protective gear for your camera. You’ll also want to wear a good pair of waterproof hiking boots as the rocks and hiking path around the cascade can be quite slippery. Seljalandsfoss has a reputation as being the most beautiful waterfalls in Iceland. In fact, it has the nickname “The Beauty” as compared to Dettifoss waterfall, known as “The Beast. 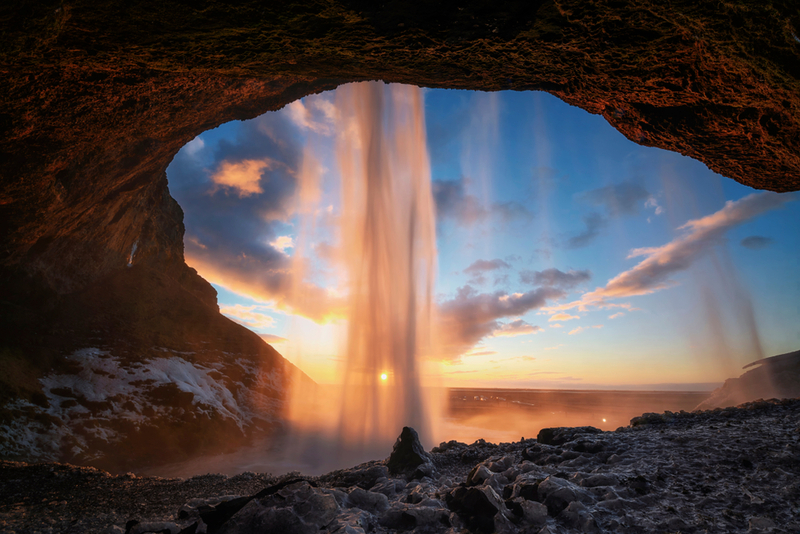 When approaching Seljalandsfoss from the front, you may be wondering what makes it so special. Sure, the cascade has a long, elegant drop...but doesn’t every waterfall? As you get closer, however, you’ll see that behind the falls there is a small cave. There’s a small trail to follow that leads around and behind the waterfall and its rocky arch. After you’ve walked around, taken pictures, and enjoyed the impressive views, it’s time to head off to our second waterfall of the day: Skógafoss. You’ll drive back toward the main highway. 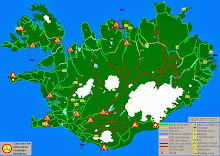 When the road splits, you’ll need to go left and continue onward in the direction of Vík. 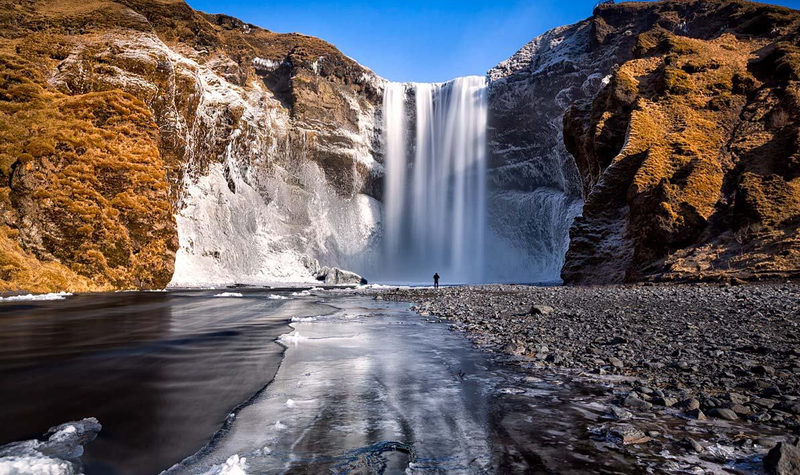 A little less than 30 minutes up the road (about 18 miles or 29 km) is the turnoff for Skógafoss. There’s a red and white sign on your left that points the way. One of the coolest things about this majestic waterfall is that you can walk right up to it. Be prepared to get soaked, however. The waterfall’s sprays travel quite the distance from their source. Approach the 197-foot (60-meter) drop if you dare. If you didn’t pack your raincoat and waterproof clothing you can still stand back and enjoy the single and double rainbows this waterfall is so well known for. This is a great place to take kids as it’s not as treacherous as Seljalandsfoss. 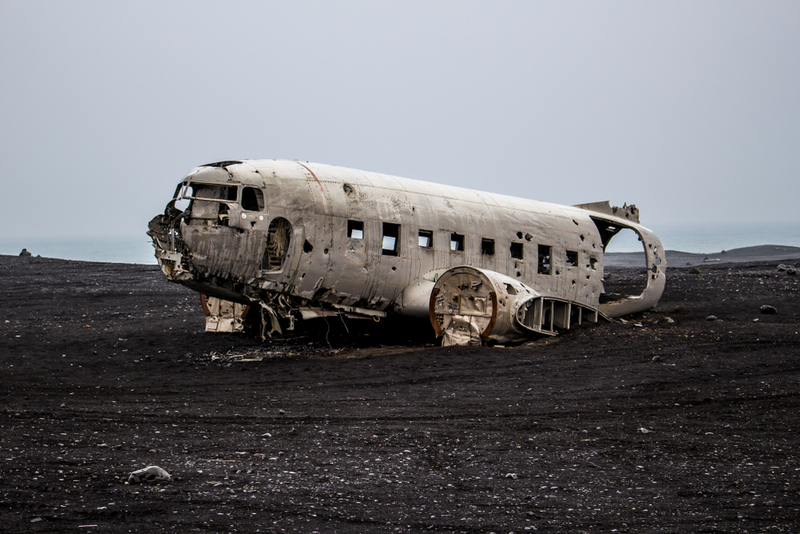 In the fall of 1973, a US Navy aircraft crash-landed on the shores of Sólheimasandur beach in South Iceland after the engines iced up. Thankfully, all of the crew members survived. 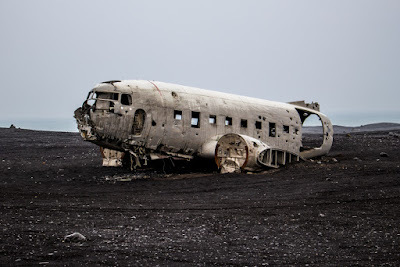 There’s was a bit of a dispute about whose job it was to clean up the wreckage (Iceland’s government refused) so the plane was abandoned. All that remains is the plane's fuselage and part of the cockpit. The missing wings and tail have been lost to time. You'll need to park in the parking area and then walk for about an hour to reach the crash site. You can actually go inside the plane to take photos. Once you are done exploring, walk around the area to see the black sand beaches. Head to Vik for the evening and enjoy dinner there. 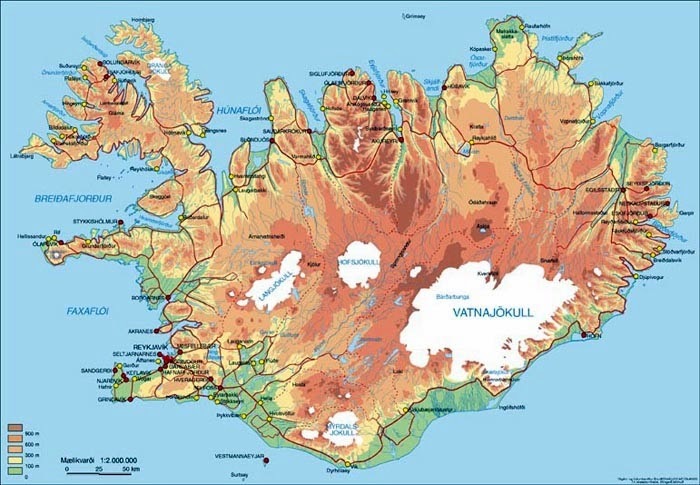 Next up, we’ll continue on our South Iceland itinerary by visiting Vik and Reynisfjara peninsula along with the wonders of Vatnajökull National Park, Jökulsárlón glacier lagoon, and Diamond Beach. 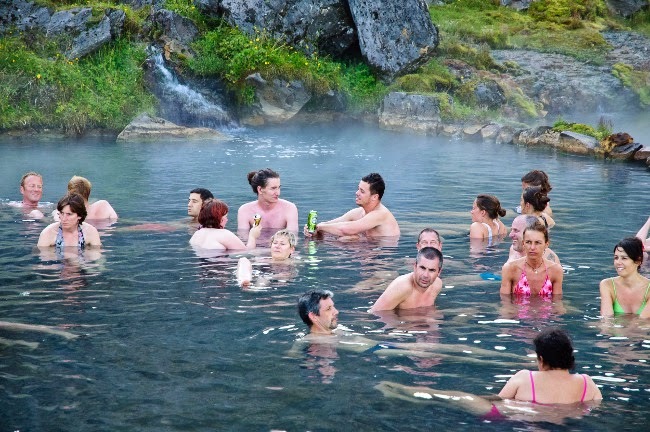 Then we’ll finish up with some time in Reykjavik, a visit to the Blue Lagoon, and a trip around the Golden Circle route. There’s a lot to do, so get plenty of rest.